Looking for lumber that will satisfy the demands of your home or building construction needs? 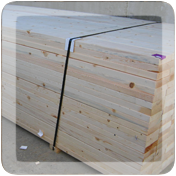 Probyn Export can help you find the best dimensional lumber and deliver it safe and sound to your destination, worldwide or within North America. Our dimensional wood is made from SPF, or Spruce-Pine-Fir. These three species of wood share very similar strengths and appearances, making them an ideal building material. 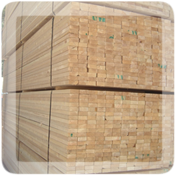 The Japanese market tends to prefer a higher grade of dimensional lumber, which has been commonly referred to as "J-grade”. 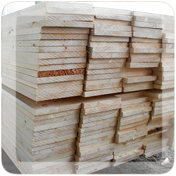 This quality lumber is of higher straightness, strength and better appearance. The common construction lumber for North America. Used for load bearing studs. #3 Structural wood is commonly used where defects in the wood are not a problem, either for presentation or for the wood's structural integrity. 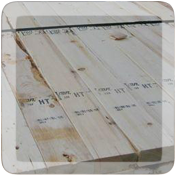 Many different industries use this sort of wood for construction or work purposes, such as for shipping pallets, cement forming and even for finger-jointing. A high grade board used for its impressive appearance. Used for finished furnishings, window frames, railings, casings around doors and many other applications where people will be seeing or using the wood.